Turnbull's rhetoric fails to take into account the fact that North Korea now probably has an operational ICBM. This is a sign, I believe, of their frustration at the increased sanctions on North Korea, recently imposed by the Security Council. It's a sign that the sanctions are working. Nobody wants to see a war on the Korean Peninsula. If Kim Jong-un were to start a war, to attack the United States or one of its allies, he would be signing a suicide note. That would be the end for his government and thousands and thousands of people would die. It would be a catastrophe and that is why it is vitally important to maintain this economic pressure on North Korea. Is North Korea's latest test a sign that sanctions are working? Well, it could be, but how can we know? North Korea has conducted 18 missile tests this year and one nuclear test, yet the latest round of sanctions have only just been passed by the UN. So if this test was a response to the most recent sanctions, how do we explain the other 17? Moreover, North Korea's testing rate has been increasing for years now, particularly under Kim Jong Un but also his father. Can that all be explained by sanctions? As for the 'suicide note', Turnbull fails to take into account the fact that North Korea now probably has an operational intercontinental ballistic missile (ICBM) that could hit the US. So at best, the PM is half right: yes, if North Korea chose to pre-emptively attack the US, the retaliation would be swift, certain and overwhelming. But if North Korea struck a US ally such as Japan, South Korea or Australia? Well, we need to be much more careful about our judgments on that, because North Korea's ICBM has triggered the process of 'decoupling' - that is, it forces the US to ask itself an uncomfortable question: would we be prepared to sacrifice a US city to defend our allies from the North Korean threat? It's quite likely that the answer to this question is 'no', and over time that has an insidious effect on relations between the allies, because Seoul and Tokyo will begin to doubt the security assurances of their great ally. The fact that North Korea has chosen - again - to test-fire a missile over Japanese territory just sharpens the message to Tokyo and Seoul: we are threatening you and your major ally isn't doing a thing about it. As has been the case for some time now, the US has no good options. But what's new is that North Korea's ICBM makes Washington's position appreciably worse. The focus is again on economic sanctions to punish North Korea and slow down the nuclear and missile programs. But as always, it is up to China to do the heavy lifting because almost all North Korean trade passes through its border with China. Yet it is not at all clear that China has an incentive to pressure Pyongyang much further. In fact, Beijing sees upsides to the direction of current events, so it has little incentive to rein in the North Korean regime. After all, one key thing Beijing has in common with Pyongyang is a desire to weaken the US position in Asia, including its alliance relationships. And as far as Beijing is concerned, North Korea's nuclear threat, and particularly its ICBM, is having exactly that effect. The US can also make a show of military might in an attempt to intimidate Pyongyang, but here again, the US position has been weakened by the advent of North Korea's ICBM. 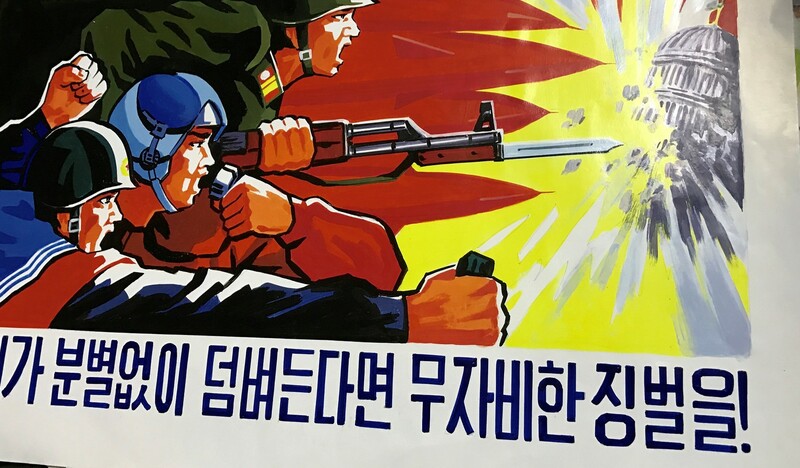 In an uncomfortably thought-provoking op-ed in the Washington Post, Professor Vipin Narang argues that North Korea's military inferiority in comparison to the US gives Pyongyang an incentive to use its nuclear weapons early in a conflict, or even if it merely thinks it is about to be hit by the US. So if Washington is contemplating bomber sorties over or near the Korean Peninsula, it has to consider the risk that North Korea sees this as the prelude to an attack. If so, it might trigger a North Korean nuclear strike against a US ally. After all, North Korea could not hope to win a conventional conflict with the US, so nuclear escalation might be its only hope of survival. As Narang argues, it's important to keep in mind that North Korea would not directly attack the US in such a strike. Rather, it would keep its ICBMs in reserve in the hope that the logic of 'decoupling' would take hold in Washington. President Trump's recent rhetoric about the South Korean trade deal will no doubt strengthen Pyongyang's view that the US is in no mood to sacrifice one of its cities in order to protect South Korea. Narang ends his article by saying that mutual deterrence between the US and North Korea can work, and he's right in the limited sense that North Korea has every incentive to not directly strike the US, and vice versa. But that won't bring much comfort to Japan and South Korea. Because of North Korea's ICBM, they now have reason to feel much more alone. And to a lesser degree, so does Australia. The Jokowi Administration is not the first Southeast Asian government to use name changes to obscure adverse developments on the water in the South China Sea.